Thanks for all your posts throughout the year!! You have definitely saved me $$. Thanks for all the giveaways. Love the site! I’d love a Target GC! I am a fan on FB! Would love to win! Thanks TT would love to win! This is so CUTE! I hope I win! I follow you as a fan on facebook. I love you site, love target , would totally love to win this!!!! 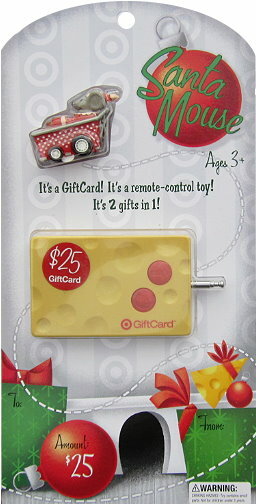 A Target giftcard would sure come in handy for groceries after all the holiday spending! I Like TT on FB!!! Thanks!!! This would be great to help with Christmas. I just love the cards you give away. Many I’ve never seen before. Thanks for the giveaways. I could use some Target cash for after Christmas sales! I faithfully like and follow you on facebook. You are truly a $$$ saver for us throughout the year. Would love to win. Thanks so much!!!! I already follow Totally Target on Facebook….LOVE your deals…thanks!! Thanks for all the chances to win!! Check this page MULTIPLE times a day! Am definitely a FB fan! I would love to win this gift card. Someday I’ll win a giveaway.